OOS International is honoured to be invited to speak at the 6th Mobile Offshore Production & Drilling Units Conference (MOPDUC) which was held in Singapore, One Farrer Park Hotel on 17-18 July 2017. Seatech is an engineering company specialized in vessel design and engineering solutions and is currently partnering with OOS International to look at decommissioning opportunities in South East Asia. 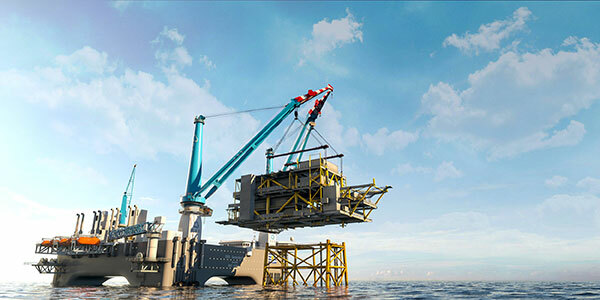 During the conference, OOS International presented the nature of the decommissioning industry, the prospects of decommissioning, challenges ahead and how these present opportunities for the players in the oil and gas industry to offer solutions. OOS International also showcased the state-of-the-art design of current newbuilds OOS Serooskerke and OOS Walcheren, both under construction at China Merchants Heavy Industry (Jiangsu). This includes features such as a brace-less design and asymmetric pontoons which allows the vessel to reach a speed up to 12 knots. © Copyright 2017 by OOS Energy. All Rights Reserved.